Hail to the king! 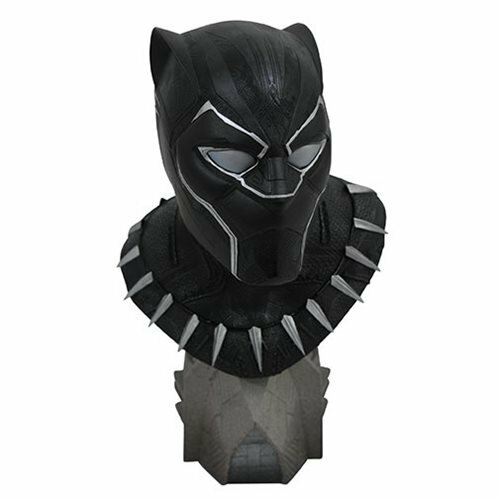 T'Challa, aka the Black Panther, assumes his rightful place in the pantheon of Diamond Select's Legends busts as this regal (and quite imposing) half-scale bust! 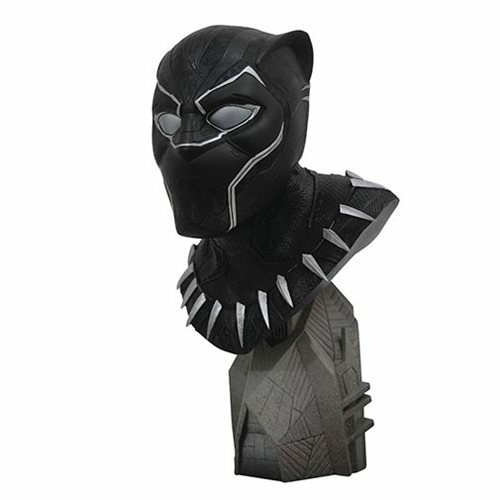 Measuring approximately 10-inches tall, the resin Legends in 3D Black Panther Movie 1:2 Scale Resin Bust is limited to only 1,000 pieces and comes packaged in a numbered box with a hand-numbered certificate of authenticity. 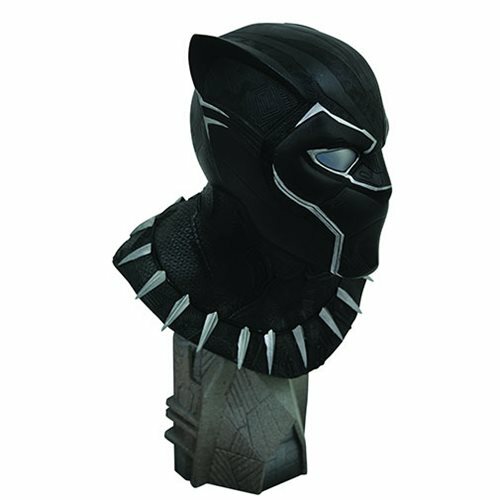 Designed by Joe Allard and sculpted by Rocco Tartamella, it's very impressive!